Note that MaximumRowCount is a Matlab extension to the standard Swing JComboBox, so if we use a JComboBox directly in our code (using javacomponent) we will not have this feature. Creating the ComboboxPeer$MLComboBox component instead is possible, but is beyond the scope of this article, because MathWorks chose for this class not to have JComboBox‘s standard constructors but rather only a constructor that accepts a com.mathworks.hg.peer.ComboboxPeer object. % Is the popup currently shown? set(jCombobox,'PopupVisible',true);   % NOT 'on' - this is a Java property, not a Matlab HG one! set(jCombobox,'PopupVisible',false);  % NOT 'off' - this is a Java property, not a Matlab HG one! Note that PopUpVisible is not a Matlab extension – it exists in the original Swing JComboBox. Unfortunately, it was not included in the list of properties that are exposed to the user by the high-level Matlab uicontrol, so we need to use the underlying Java component. On a Windows platform the PopupVisible property is toggled, thereby showing/hiding the popup window, whenever the user clicks <Alt-Up> or <Alt-Down> when the combo-box has focus. ??? Changing the 'PopupWidthConstrained' property of javahandle_withcallbacks.com.mathworks.hg.peer.ComboboxPeer$MLComboBox is not allowed. ??? No appropriate method or public field setPopupWidthConstrained for class javahandle_withcallbacks.com.mathworks.hg.peer.ComboboxPeer$MLComboBox. 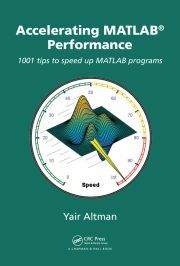 For additional customizations of Matlab comboboxes, refer to section 6.7 of my Matlab-Java programming book. We’re all eagerly awaiting the much-anticipated R2014b release. As you all know, this is an important release with major functionality and engine improvements. It is therefore not surprising that the release date (which should normally have been September 1) is somewhat delayed. MathWorkers are hard at work fixing problems in the pre-release beta. This delay was actually anticipated, as can be seen from the pre-release expiry date. We should all be patient and let MathWorks fix these issues without pressure. This release could be a real home-run and MathWorks should do all it can to ensure that it works as transparently and as backward-compatible as possible so that it indeed becomes a home run rather than an outfield foul ball. Let’s not have a repeat of R2010b, which required two separate service-pack updates. I urge MathWorks to take their time – better safe than sorry. I urge everyone else to be patient – it’s worth the wait. I agree concerning 14b, I prefer stability, functionability and compabilities support more than new functions. I’ve run into a problem using your findjobj utility, I am trying to build a GUI with several popup menus. I build a popup menu using hComboBox=uicontrol(‘Style’,’popup’,…), but for some reason the findjobj(hComboBox) returns an empty handle. When I do the same in the command window it works perfectly (also when I call: findjobj(‘class’,’MLComboBox’). Is there a reason why is it acting like that when I call the findjobj in a function? And secondly, why is it that when I declare the same Position property to a Matlab popup menu, and an EditBox, the height of the 2 object differ? I am using R2014b version. @Andras – perhaps the control is not yet visible by the time findjobj is called. Try calling drawnow; pause(0.05); and ensure you are not setting Visible=’off’. Re the control height, this is how Matlab works internally; the height is automatic and cannot be controlled from Matlab. It is possible (but also not trivial) to do it in Java. You can search for this online. Thanks, for the fast reply. Sadly neither of those work, I still get an empty handle after calling findjobj. I dont quite get your second answer, I thought the Position property sets [left bottom width height] the size of the object, but calling a simple JComboBox with javacomponent, or calling an MLComboBox with uicontrol, and then setting their position property to the exact same values, I still get 2 different height. Alright, now I see, so the basic popup menu uicontrol height is not editable. Correct. Try keeping the uicontrol height at its standard value (20px) – maybe that will help findobj() to find it. You don’t care about the height value anyway because as you have seen it does not really affect the actual displayed control height. I try to build my GUI using normalized units to set the position property (to avoid setting the ResizeFcn). My main concern is that there is always a label, and sometimes an editbox also next to the popup, and I need to keep them in the same line, and height, etc … , for the GUI to look OK.